A raised toilet seat with a lid is a bathroom safety solution for seniors for someone who has a hard time sitting down or standing up from a toilet. Going to the bathroom has never been easier. This elevated toilet seat reduces the distance between the actual toilet and the person going to the bathroom. 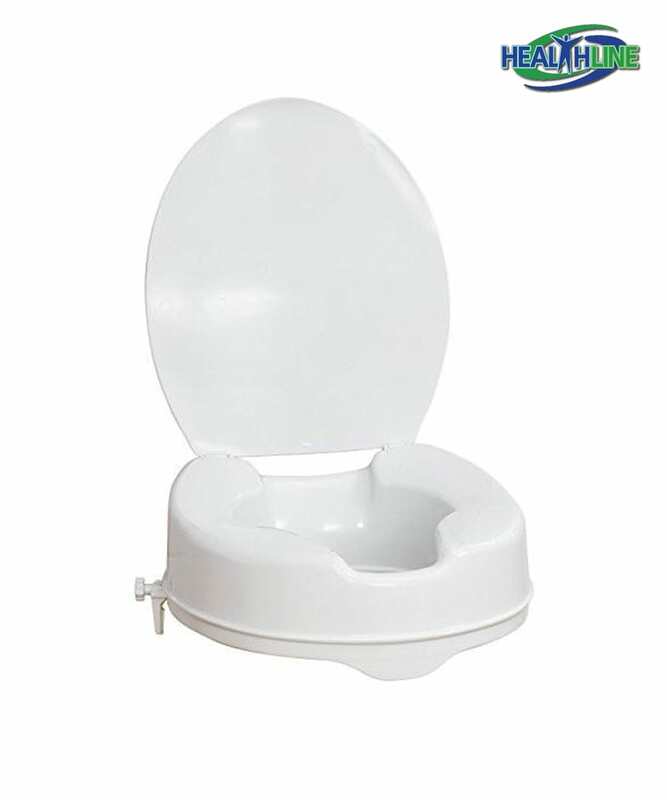 Made of durable medical grade plastic this raised toilet seat includes a special locking mechanism to keep the seat in place. Lightweight (weighing only 4 pounds) and compact, this elevated toilet seat provides a more comfortable way for bathroom visits. The lid makes the whole process more pleasant and sanitary. Suitable for most toilet shapes, attaches securely and raises the seat height by four inches. 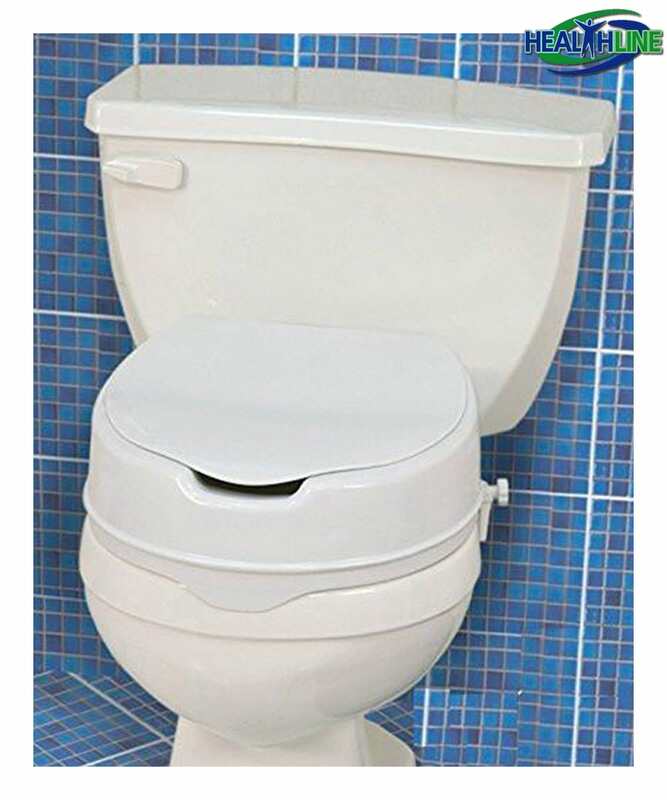 This raised toilet seat with a lid does not require any tools for maintenance or setting up. This durable molded plastic elevated seat can hold up to 300 pounds due to its sturdy construction.